Are you currently living or travelling in Darwin? If so, we can help you with all your translation needs. As a specialist Darwin translator service, we are experts in providing professional and accredited Darwin translation services in all languages. Speak to us today regarding your translation! Why should you choose OPAL Translation? Here are some reasons why. We’ve established a team of highly-skilled translators in the industry to provide you with high-quality Darwin translation services. If you need a reliable translation services provider, look no further than OPAL Translation. Our translators are all NAATI certified and qualified to handle your documents. You can rest assured that you will only receive accurate translations of your source documents. Do you have any concerns regarding your translation? Need someone to talk to about your document? Do you have any questions about our services? Don’t worry! Our Live Chat is available 24/7. We have dedicated customer service representatives who would be more than happy to assist you with your needs. With our NAATI certified translators, we guarantee that you will only receive 100% accurate translations when you work with us. Having a single error in your translation can be costly and at times dangerous. You risk getting rejected for a visa, job or school application. It’s always best to find a reliable translation services provider who offers accurate translations to ensure you will have a guaranteed high-quality translation here at Darwin. We’ve listed here some of the most frequently asked questions during our seven years of providing translation services in Darwin. Can you translate documents in any language? Absolutely! We can provide translation services for our clients in Darwin in all languages including Chinese, Vietnamese, Indonesian, Japanese, German, French, Italian and Arabic. We even translate rare languages! Do you translate all types of documents? Yes, we do. We can translate personal documents for our Darwin clients. These include documents such as marriage certificate’s, birth certificate’s, driver’s licences and academic transcripts. Let us know via the Live Chat below what document you have and we’ll provide you with the most qualified translator. Are your translations official translations? Yes – our Darwin translation service is fully NAATI accredited and we provide you with official translations that you can use for official purposes such as submission to the Department of Immigration and Border Protection. What is the expected turnaround time for me to get my translations back? We are happy to say that we get most translations back to you within 2-3 days. We also have an express service if you want to get your translations back sooner. 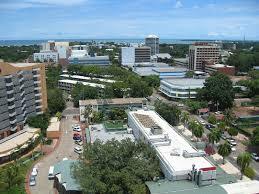 Darwin is the capital of Australia’s northern territory. Let’s take a look at the interesting facts about the place. If you want to learn about the city’s history, visit the Darwin Aviation Heritage Center. The city has been a home of several aviation pioneers and was the London to Melbourne Centenary Air Race checkpoint back in 1934. 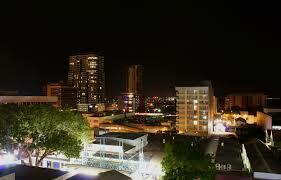 The city took its name after Charles Darwin when a ship crew started a port and named it Port Darwin in 1839. It was in honor of Darwin who sailed in the same ship. The Darwin festival held annually consists of art galleries that feature aboriginal art pieces. So what are you waiting for? Contact us today and take advantage of our fast and affordable Darwin translation services.